Tata unifies all CDMA, GSM and Photon consumers on brand Tata Docomo! This is an excellent move by Tata Teleservices. According to the latest press release sent to us – Tata has decided that it will bring all their CDMA, GSM as well as Photon consumers all under one brand – Tata Docomo! Over last couple of years, Tata’s focus has been mostly GSM services under Tata Docomo brand, while their CDMA services were managed and marketed under Tata Indicom brand. With this brand unification, brand Tata DOCOMO now moves into the CDMA space, and all Tata Indicom customers shall be migrated to Tata DOCOMO starting as early as tomorrow (20th October). Tata’s 3,000-plus-strong CDMA retail footprint will now become accessible for GSM as well, and vice versa. According to the press release, following strategies will be adopted under the unified Tata Docomo brand. Tata Teleservices Limited has adopted a future-facing strategic approach to ring in the next growth wave in the Company, unveiling an integrated technology-agnostic structure to leverage emerging market opportunities. The Company will leverage its wide range of products and services and reach out to customers with one common brand—Tata DOCOMO—cutting across the CDMA and GSM platforms. With this move, brand Tata DOCOMO now moves into the CDMA space, and all Tata Indicom customers shall be migrated to Tata DOCOMO from tomorrow. Tata DOCOMO believes that phones are not just for talking and the new strategic approach will bring in the full might of TTL’s telecom experience to customers through an elevation in the promise from ‘only telecom’ to seamless Access, relevant Content and differentiated Solutions. The Company’s new portfolio of products, applications and solutions will allow consumers to access cutting-edge voice and data services, enjoy content of their choice, and avail of a host of solutions, ranging from mere conveniences to life- and lifestyle-assistance services. The company has consolidated all organizational assets—spectrum, retail touch-points, digital footprint and consumer franchises across technology platforms under a single brand, Tata DOCOMO. “These are exciting times at TTL and mark the Company’s evolution from being just an access provider to a multi-platform telecom applications and solutions organization, with one single brand—Tata DOCOMO—for customer connect, ease and delight. This is the birth of Telecom 2.0,” Mr Deepak Gulati, Executive President, Mobility Business, Tata Teleservices Limited, said. “Our new strategy will unify our brands and unlock the synergies across the CDMA, GSM & 3G platforms. 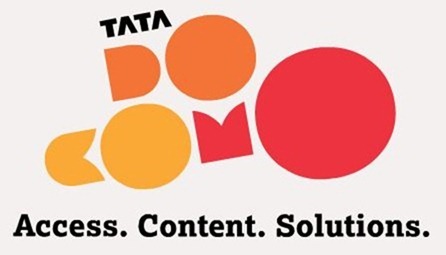 We are pleased to welcome our Tata Indicom customers into the Tata DOCOMO family, offering them a new world of telecom and lifestyle-impacting experiences,” he added. TTL has also put in place a new integrated go-to-market approach—across the sales, marketing and customer service domains. For instance, the Company’s 3,000-plus-strong CDMA retail footprint will now become accessible for GSM as well, and vice versa. This is in line with the Company’s stated objective of streamlining operations and creating a strong consumer-facing organization. The migration of services to the unified Tata Docomo brand will happen in Delhi-NCR at a later date. TTL’s new strategic direction in the Access, Content and Solutions spaces, enables the Company to offer compelling propositions to customers in a market that has been witnessing far-reaching changes in terms of usage trends and customer preferences. The growth of the Internet usage on phones, the arrival of Smartphones, the explosion of social-networking and the evolution of the Indian consumer—all will lead to a fundamental shift in the role of the mobile phone in everyone’s life. The phone is no longer just for talking; it holds the potential to impact lifestyles, even transform lives. "Tata unifies all CDMA, GSM and Photon consumers on brand Tata Docomo! ", 5 out of 5 based on 1 ratings. What Happens When Google Goes Down! HCL has a Blockbuster Quarter, celebrates it with Free equity to Employees! Whatever strategic thoughts and plans the Tata Communications area (GSM CDMA et all abbreviations) may have had, but as a customer it has been thoroghly unsatisfactory and chaotic for me, No idea now of what bill comes when, and Customer SAervice has been thoroghly unsatisfactory at the Tata TeleServices offices itsself, probably no one told them or taught them that all products of all the erstwhile companies are under one umbrella and behaving like the new DOT office and doing nothing even when a Customer walks in with a Walky or Photon by giving the address of another office in a wholly different part of the city to continue the chat or discussion they were busy with is not really the noble intent or meaning of this move by the Tata Management. i am also a tata indicom customer for 2 years. i dont like the brand name docomo because tata indicom sounds good and this move will create problems to public also because many educated persons even dont know that what is gsm and what is cdma.the gsm hanset owners might bought cdma sims and then will weaping on their mistakes and vice versa.the well known name for last many years spoiled by the company its bad for those who take the connection for loving the brand name tata indicom. I would call it as a perfect brand revitalization move which would surely bring more clarity for the customers as well.